You can still sing Christmas carols! Online Resource Song of the Magi (Anais Mitchell) This powerful song reflects on modern day Bethlehem and the struggles there, and may be appropriate to play to your congregation. Lyrics. Original Song. Powerful video cover version recorded in Bethlehem at the Israeli West Bank barrier. Online Resource O Children of the Light / Ay Farzandane Nur (Anonymous Farsi) This is simple enough if you just limit yourself to one verse and chorus in both languages. Sheet music, Farsi, transliteration and English translation (the English translation is not for singing). Sound sample on youtube (which includes a singable English translation). Don't do it too fast! Online Resource Lift your head / Your light has come (Richard Bruxvoort-Colligan) A really lovely refrain that could be used at various points throughout the service. Sound sample, lyrics & sheet music. TiS 666 / AoV2-113 / AoVK-126 / ATOK 409 / NCH526 / Iona (Common Ground, Freedom is Coming) / CH516 / VU646/647 / WoV650 / ELW866 / A&M483 / SFFS 2235 / HPP153 / GtG853 / G(II)357 / GC513 / GC(II)516 / G(3)594 / Cha442 / SP235 / Srce737 / StF483 / MP954 We are marching in the light of God / Siyahamba / Caminando (South African) A very popular chorus, with possible alternate verses, depending on your source. Sometimes people get anxious about the word "marching", but remember that this song comes from apartheid-era South Africa, where people were protesting so that they could vote in their own country. And the marching is toi-toing, much less militaristic than what you may imagine. Good for kids. SP&P070 Although it looks as if the sky is falling / Isaiah's Dream (Bill Green) Joyful words; the tune will need to be taught. PDF for purchase. *Music by Heart 61 Arise shine for your light has come (Ruth Cunningham) A simple two-part chant, which can easily be taught before, or during, the service. Good for kids. *UMH725 / SP25 Arise shine out your light has come (Brian Wren) Excellent hopeful words sung to the hymn tune DUNEDIN; it also works quite nicely to CHURCH TRIUMPHANT. Lyrics. New words to old tunes. *Online resource Arise Shine! (Bruce Harding) A simple repeated chorus. It would work well at the end of the service. Sound sample. Sample PDF. PDF for purchase. NCH112 Keep awake be always ready (Arthur Clyde) New words to the tune for "Wake awake for night is flying". I particularly like the second verse of this one. WACHET AUF. New words to old tunes. ATOK 389 Light of the nations (Robin Mann) A simple yet powerful song. Lyrics. URW432 Radiant light divine (Rufino Zaragoza) This is pretty lovely. A nice chant based on the Phos Hilaron. 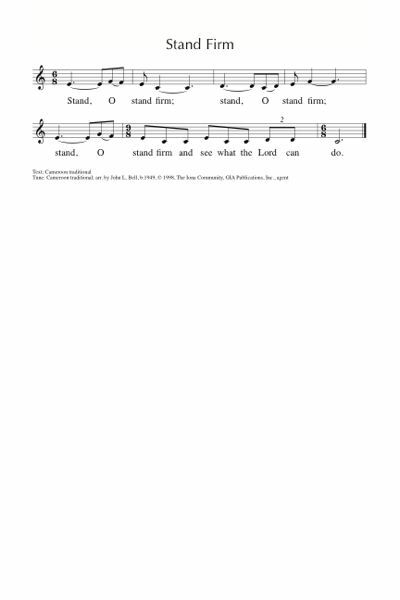 Emergent Psalter For he shall deliver the poor (Isaac Everett) A Psalm refrain. It's not amazing, but I'm having trouble finding good Psalm refrains for this particular Psalm. *NCH36 / PH219 To God compose a song of joy (Ruth Duck) “The God of Justice comes to save; let earth make melody; For God will judge with righteousness and rule with equity” Beautiful words. I prefer this sung to the tune in NCH – the standard hymn tune RICHMOND (TiS 425). New words to old tunes. WCC website: Hear the message we now are proclaiming / El mensaje que hoy proclamamos (Eleazar Torreglosa) This jubilant Colombian song of liberty and new life for the poor and suffering would fit well with this reading. Free sheet music! SP&P137 The world is hungry for justice / Sweet Justice (Louis Gilio / Scott Ressman) This song is new to me, and the words are very suitable for this reading. It's a ballad and the verses would be best sung by the musicians at first, with the congregation joining in on the chorus until they get to know it. *AoV2-137 / Iona (SBL) / CH262 For the world and all its people (Somos Pueblo) This is a beautiful, haunting song. It will need to be taught, but once your congregation gets it, I'm sure they'll love it. Particularly good to use during intercessions. *Online Resource Be a blessing (Richard Bruxvoort-Colligan) A song of encouragement based on this Psalm. This would be a wonderful song to sing at someone's commissioning, or as a benediction song to your congregation. It would be tricky for a congregation at first, so I would get your musicians to present it as a gift to the congregation. Lyrics, sound sample and sheet music. Paul's call & mission; inclusion into the body of Christ. TiS 428 / AHB 340 Help us O Lord to learn (William Reid) Great challenging (but quite formal) words about being committed to learning the faith. Good for a New Year message. Boring tune though. I would sing it to ST THOMAS (TiS 271 / AHB 198) Lyrics (with thees and thys, which are not in TiS). New words to old tunes. Online Resource We had seen the star (Leigh Newton) A beautiful new song, better for a soloist than a congregation. Sheet music and sound samples. URW416 Listen to the song of the wind (Thomas Turner) This is quite lovely, and you could choose whichever verses are most appropriate for any service; this week, you might like to sing "Listen to the dreams in the night". Good for kids. *CoC49 Who are these who ride by starlight? (Marnie Barrell) Powerful words! The tune is simple enough too. Lyrics. VU94 / Cha175 / STB132 Lovely star in the sky (Korean text) Good words. Lovely simple Korean tune. The peoples of the two Koreas could do with some songs from us. *CoC51 / Online Resource Wise men came journeying (Shirley Murray) Good, imaginative words, including reference to New Year, sung either to a new tune or to BONNIE GEORGE CAMPBELL if you need something familiar. New words to old tunes. Lyrics and sheet music. *AoVK-60 / AA04 / CoC05 And did you see him little star? (Helen Clyde) I quite like this song. It's very imaginative and good for kids. TiS 314 / AHB 239 / NCH159 / CH326 / VU81 / A7M094 / LBW082 / ELW302 / HPP144 / PH063 / GtG150 / GC374 / GC(II)384 / CP160 / CP(E) 83 / W&R236 / Cha173 / Srce2-39 / 82Hml-119 / Lau166 / StF224 / MP039 As with gladness men of old / those of old / sages bold (William Dix) A well known traditional Epiphany carol. Oldy-but-a-goody. Lyrics and tune. GC(II)386 / G(3)462 Every nation sees the glory (Francis Patrick O'Brien) BEACH SPRING (TiS 493) Beautiful words and very familiar tune. “Every nation sees the glory of a star that pierced the night. As we tell the wondrous story we are bathed in radiant light. Star sent forth from highest heaven, dancing light of God’s design, Shine upon the gift that’s given; Word made flesh now born in time.” Highly recommended! Lyrics and sound sample. New words to old tunes. *NCH370 / W&R685 / URW127 What gift can we bring? (Jane Marshall) A good offering song. Also good for a church anniversary. Lyrics. This song has great words for the offering, and seems appropriate to both Epiphany and New Year. The tune is a bit tricky. TiS 281 / AHB 214 When God Almighty came to be one of us (Michael Hewlett) This is a great Christmas and Epiphany song. It’s also set to a very easy (and fun) tune to sing (URQUHART). I especially love verse 3 "Wise men, they called them, earnest astrologers, watching for meaning in the moving stars, science or fancy, learned or laughable, theirs was a vision that was brought to pass. Sing all you wise men, dance all the scientists whether your theories are false or true. God uses knowledge, God uses ignorance. God at his coming had a need of you". Lyrics. Good for kids? I liked it when I was a kid. *AA014 / CoC09 / STB144 / StF194 Child of joy and peace (Shirley Murray) Excellent words for Christmas and Epiphany; recognises the poverty of Christ and constrasts it with the greed of Christmas - without being too heavy handed. I like Ian Render tune (JENNIFER'S GIFT) best, even though it's a little tricky. SFFS 2094 I sought him dressed in finest clothes (John Bell) Excellent words that speak of the search for a king in high places, and finding him among the poor. Sung to a Celtic folkish tune. Lyrics. VU092 In the darkness shines the splendour (Bernadette Gasslein) Good new words sung to the tune IRBY (Once in Royal David's City) New words to old tunes. *Online Resource / HiOS105 Now the star of Christmas (Shirley Murray) A multifaith epiphany song: "Where the three kings travel, three great faiths arise: Jesus Christ for Christians, Jesus, Judah's son, Prophet for the Muslim, wisdom in each one". Some congregations will find this a bit too much, but others will find much to celebrate in this song. Can also be sung to NOEL NOUVELET if you don't want to try a new tune (the new tune is not hard). Lyrics and sheet music sample. New words to old tunes. Online Resource Last night among the stars (Helen Wiltshire) Imaginative words, to a standard hymn tune about the sorry of the word, and the hope of the Christ Child. "We join the sages from afar and bring the gift of who we are". Free songbook download. VU093 When heaven's bright with mystery (Rob Johns) Good new words to the tune SUSSEX CAROL. New words to old tunes. 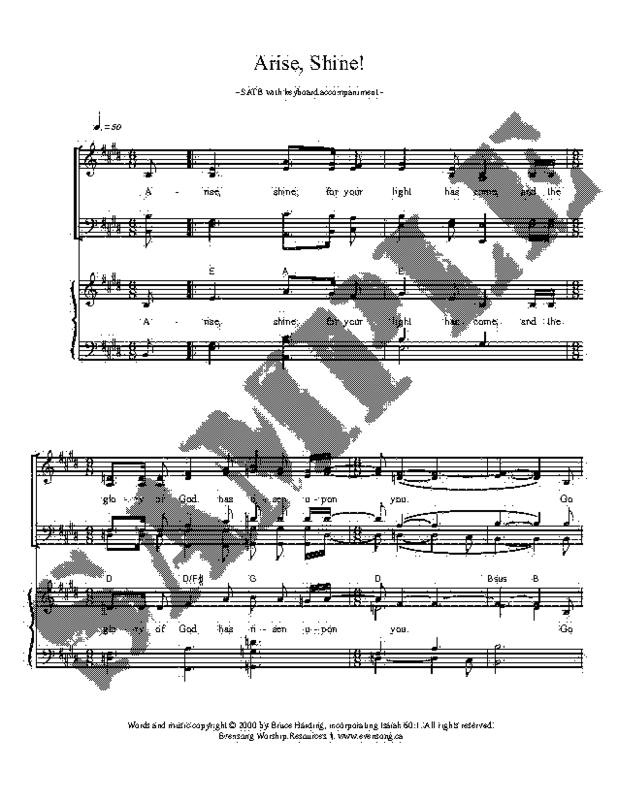 Online Resource Set the sun dancing (Shirley Murray) Joyful song of celebration, with an uplifting key change for the chorus. Lyrics and sheet music. Online Resource God help the weary travellers (Daniel Damon) Timely lyrics with reference to travellers who may be refugees, and/or women fleeing from domestic violence and a lovely simple tune and our call to travel with love. Lyrics and sheet music. *VU096 Will you come and see the light? (Brian Wren) Excellent Christmas / Epiphany words to the tune KELVINGROVE (The Summons) "Will you hide, or decide to meet the light?" Online Resource A Star Shone Bright (Richard Garland) Sung to the familiar tune O WALY WALY, this new set of words sing of the star of long ago, still leading us today. New words to old tunes. Free sheet music. GtG152 / PH068 / GC378 / GC(II)389 / G(3)461 What Star Is This? (Charles Coffin) Slothful hearts could do with singing this sometimes. A standard hymn sung to PUER NOBIS NASCITUR. New words to old tunes. AoV1-165 / NCH148 / UMH219 / VU074 / LBW040 / ELW296 / HPP138 / PH053 / GtG145 / GC380 / GC(II)387 / G(3)466 / CP137 / CP(E) 74 / W&R184 / Cha162 / 82Hml-115 / Lau145 What child is this? (William Dix) "Come bring him incense, gold & myrrh"... Lyrics. Oldy-but-a-goody. How about "What Child Is This?" Any ideas where I can find the tune urquhart. I can;t access the midi file from an Australian website that has it, and don;t know where else it might be ?? Thanks for your helpful song suggestions week after week. FYI, The Virgin Mary had a Baby Boy is also in Common Praise CP 128. As I was reading through your post, I noticed it and was so glad as it adds energy to the service. What about Jim Strathdee's "I am the light of the world," Natalie?